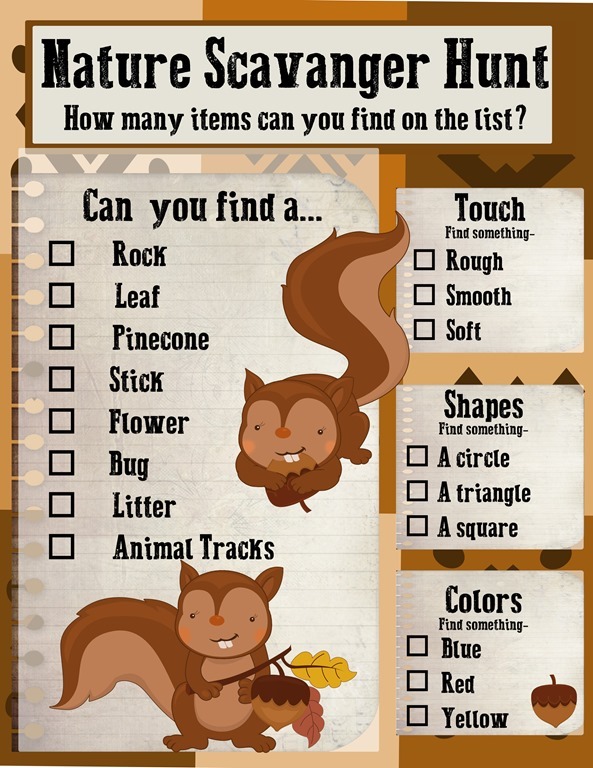 If your family reunion location is at a park or a campground this Nature Scavenger Hunt is a wonderful excuse to get outside, have some fun, and spend time together as a family. 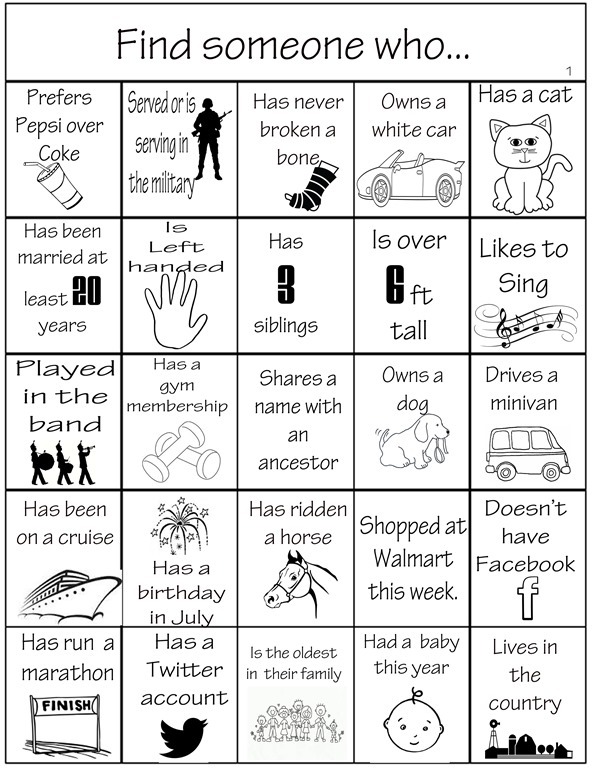 Just print off our fun Scavenger Hunt printable on heavy cardstock and give everyone a copy along with a pencil and let the fun begin. You can work as teams or individually, it can be a race or a contest to see who finds the most items. Allow everyone an opportunity to show off their favorite find. You can find the link for our Nature Scavenger Hunt below- or right-click on the picture above, save it to your computer, and print. 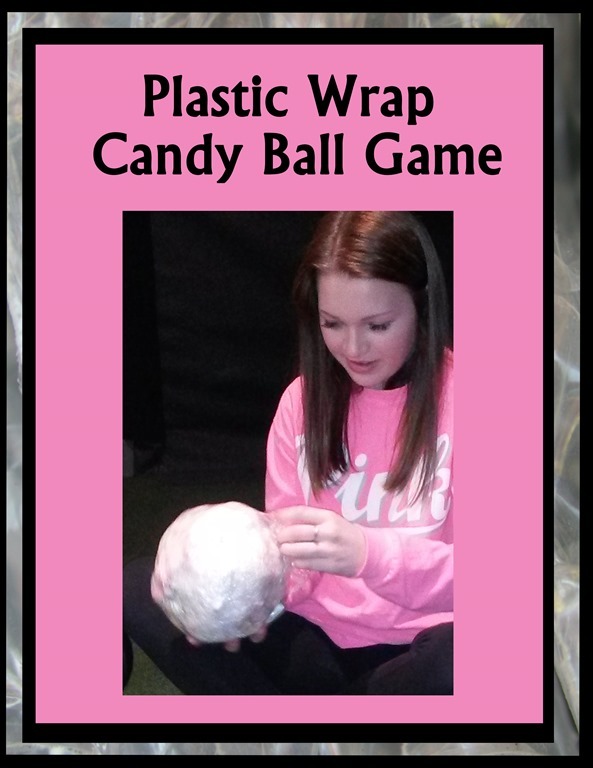 What could be more fun than a huge ball of plastic wrap with lots of prizes layered throughout the ball? My sister in law has done this for her kids for years, but it wasn’t until just recently, when we played this game at a family Christmas party that I remembered how much fun it was. The first person with the ball starts unwrapping it while the person on their right rolls a pair of dice, trying to roll doubles. The person with the ball doesn’t stop unwrapping it until the person to their right rolls doubles. This makes for some fun suspense in the game! As the player unwrap the prizes they put them in their own pile- everyone keeps the prizes they unwrap. To make the ball gather 50- 100 prizes. Small packages of candy work well, especially M&M’s and Skittles. You can also use erasers, hair barrettes and ribbons, Hot Wheel cars and other small prizes. 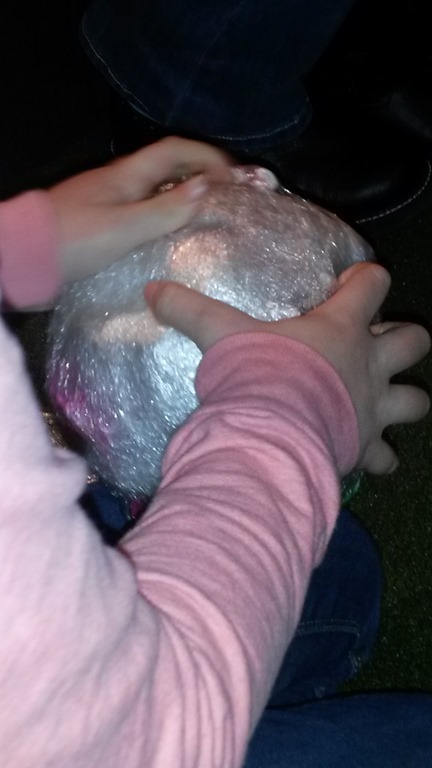 At our Christmas party we had two plastic wrap balls, a girl ball and a boy ball and the prizes in it were items our boys and girls typically enjoy. 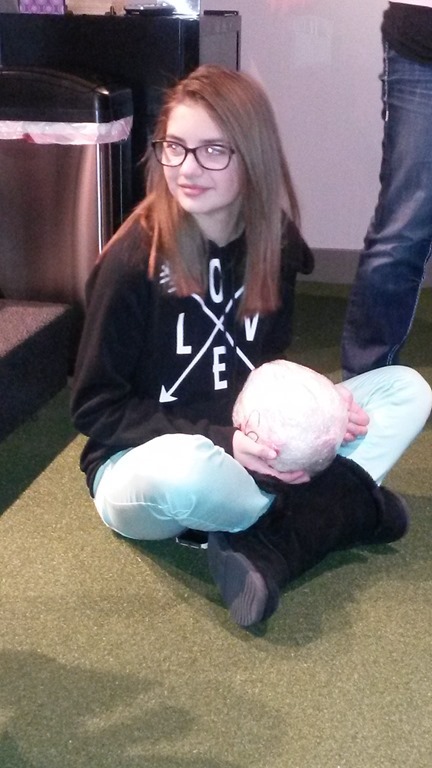 To start the ball, use a 2- 3 inch rubber ball such as a bouncy ball. You can also use a good sized bell or rattle that will make noise as kids get closer to the center of the ball. Place a piece of candy or prize on the ball and wrap it up with the plastic. Every few layers, use tape to seal up the recently wrapped layer as this will make the game a little more challenging. Continued this process (adding prizes and wrapping with plastic wrap until it is the size of a soccer ball (minimum) or basketball (maximum). I’ve heard this game called the saran–wrap-ball game, the tape ball game and money ball (this version uses only money). But whatever you call it it all comes down to a fun party game that everyone can participate in. I love “Right/Left games! 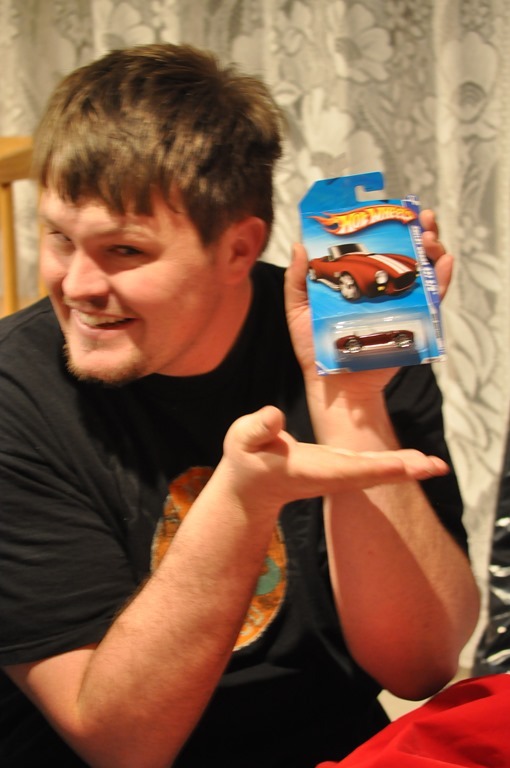 It’s a great way to exchange “white elephant” gifts but… I absolutely hate the “Mrs. WRIGHT RIGHT “ games that you can find on the web (let’s get creative people!) so I wrote my own right/left game that is designed for use at a family reunion. Hope you like it. 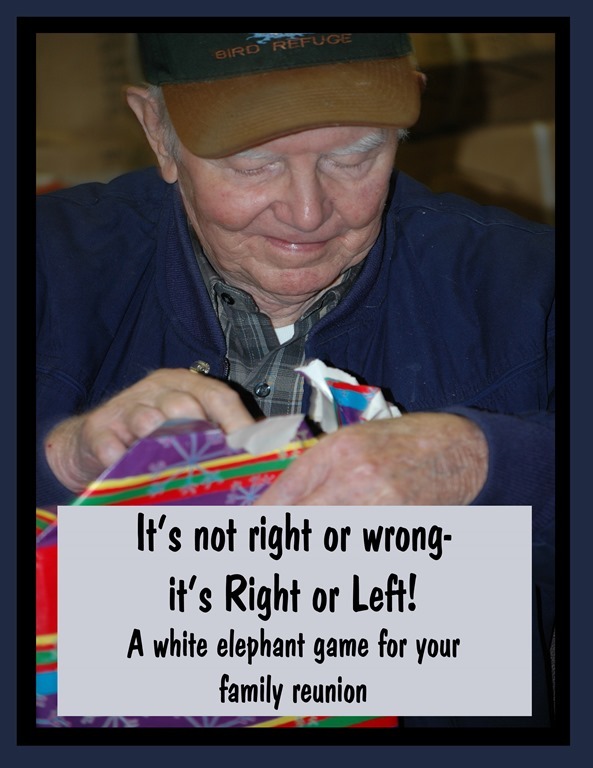 First thing you need to do is assign each family member to bring a white elephant gift to your family reunion or party. Decide if you want them to bring their gifts wrapped or unwrapped. Most people will bring funny, used items they no longer want so I always like to include some more desirable gifts that will get everyone excited about winning. Large candy bars, money, and 2 liter bottles of soda are always a hit. Everyone sits in a circle. 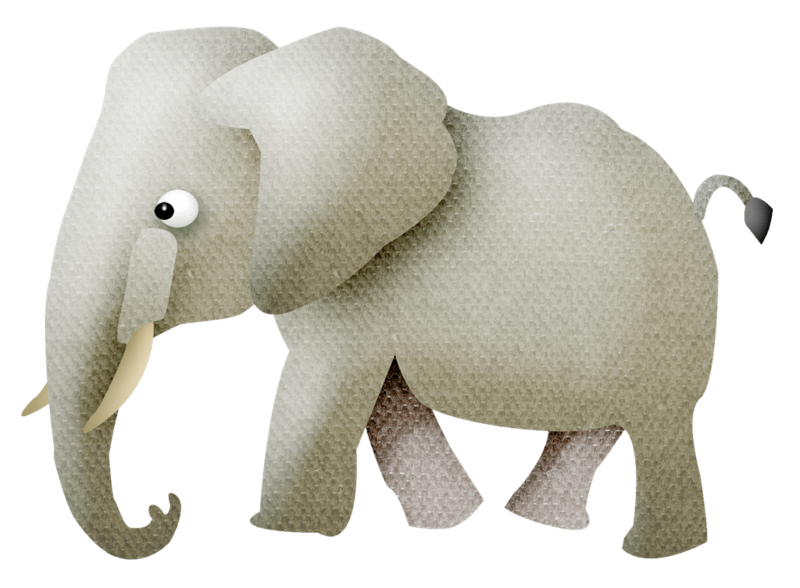 As you read the story, they pass (the gifts) left when you say left, and pass them right when you say right. When the story ends, everyone opens the gift they are LEFT with. I have capitalized the words RIGHT and LEFT in the story for easy identification. Be sure and read with lots of expression and pauses- the children in your family will have fun anticipating RIGHT or LEFT. Let me tell you what happened to Uncle Harv and Aunt Ethel on the way to this reunion. Harv and Ethel decided to get an early start because they didn’t want to be LEFT out of all the fun. Since both of their cars were in the shop, they borrowed their neighbor’s two ton truck. (These are the neighbors to the RIGHT of them, not the LEFT.) Harv sat in the driver’s seat and Ethel sat RIGHT next to him. The kids all climbed in and took the space that was LEFT. It’s a long way to this reunion from Harv and Ethel’s house and I guess Harv began to get a little sleepy. The truck began to serve to the LEFT and to the RIGHT and then to the LEFT again. Before Harv knew it, the truck had LEFT the road and was going RIGHT into the burrow pit. “You get RIGHT back on that highway!” Ethel screamed. Just then a house appeared RIGHT before their eyes and sure enough the truck ran RIGHT into the big, locked gate that stood RIGHT in front of it. Everyone began screaming and soon the people that lived in the house came running from all directions- from the RIGHT and from the LEFT. They were RIGHT neighborly though and invited us RIGHT into what was LEFT of their house to have breakfast with them. Although Harv and Ethel were anxious to get RIGHT back on the road, and Uncle Harv’s RIGHT knee felt a little stiff, they decided the nice thing to do was to eat breakfast with the family. The family consisted of Ma and Pa Dowinkle and their eight kids. (Everyone in their family was LEFT handed- isn’t that odd?) Harv and Ethel LEFT their coats RIGHT by the front door. As we Harv and Ethel and their kids sat down at the huge kitchen table the Ma Dowinkle asked that they sit on their RIGHT side so that they wouldn’t bump elbows. Ethel sat RIGHT next to Ma Dowinkle and Harv sat RIGHT next to Pa Dowinkle. There was room for everyone RIGHT at the big table, in fact there was even some room LEFT- over. Breakfast was so good that no one LEFT anything on their plate. After eating, Harv and Ethel gave all ten of the Dowinkles a big hug and LEFT. “I’m driving the rest of the way to the reunion”, Ethel said, “Is that alRIGHT with you?” She asked the kids. The kids cheered and Ethel turned RIGHT out of the Dowinkle’s driveway and LEFT their new friends in a RIGHT big cloud of dust. 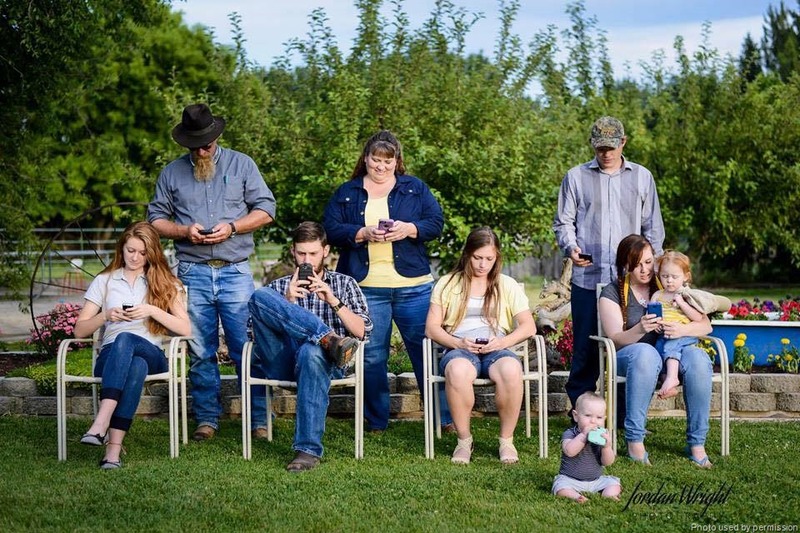 She headed RIGHT for the freeway and before anyone knew it, they arrived at the family reunion RIGHT on time. So, if you see Uncle Harv and Aunt Ethel at the reunion be sure and ask them if they are feeling alRIGHT and give Uncle Harv a pat RIGHT on the back and Aunt Ethel a kiss RIGHT on the cheek and let them know how glad we are that they could come to the family reunion. Well, that’s the end of the story- there isn’t any more LEFT- I know I’m RIGHT because it was my job to WRITE the RIGHT/LEFT story- and WRITE it I did. Isn’t that RIGHT?!?! New and improved is not better than tried and true! It seems like I spend a lot of time trying to dream up and create new family reunion games and activities to excite and entertain family members. I can’t tell you how many times I’ve fallen back on the old “tried and true” activities and in the end they become the new favorites of our family. 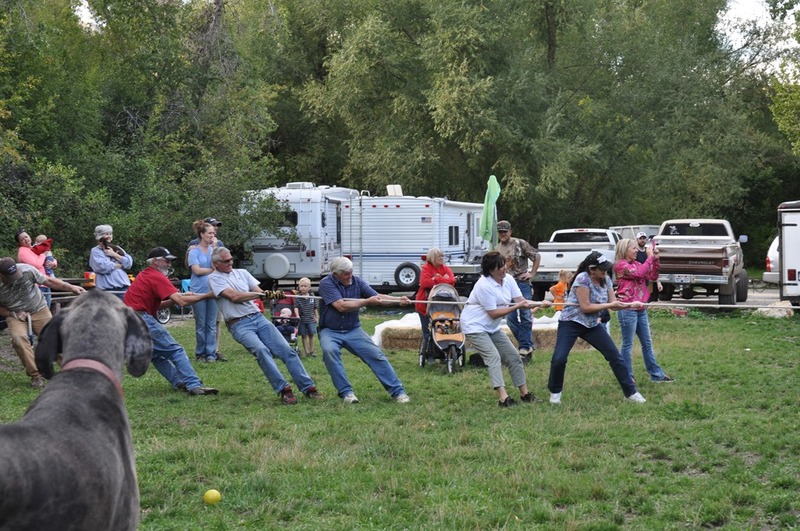 For instance, this year we’ve done tug of war at several reunions and parties and our families have LOVED it! 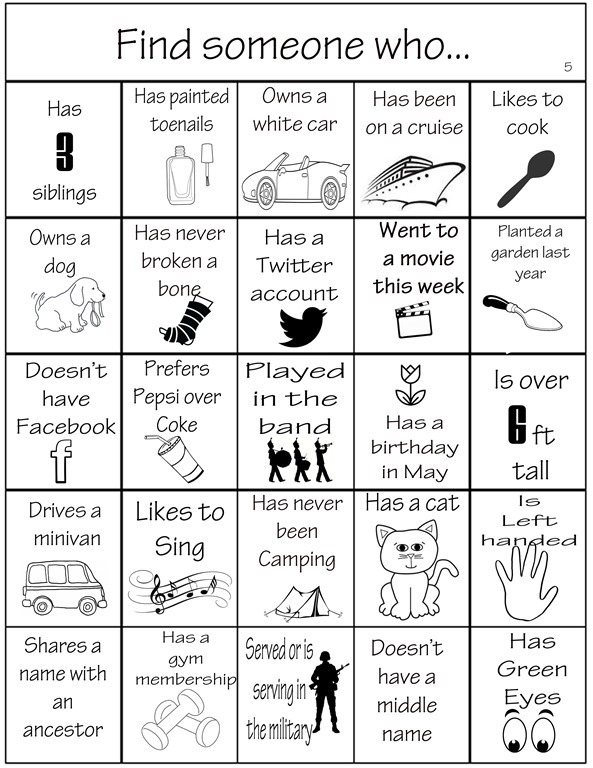 We did several categories- family vs. family, girl cousins vs. boy cousins, the original “big 6” (my husband’s brothers and sisters), great grand girls vs. boys and so on. The most difficult part of a tug a war is finding a rope. We borrowed a rope from our neighbors who are ranchers. 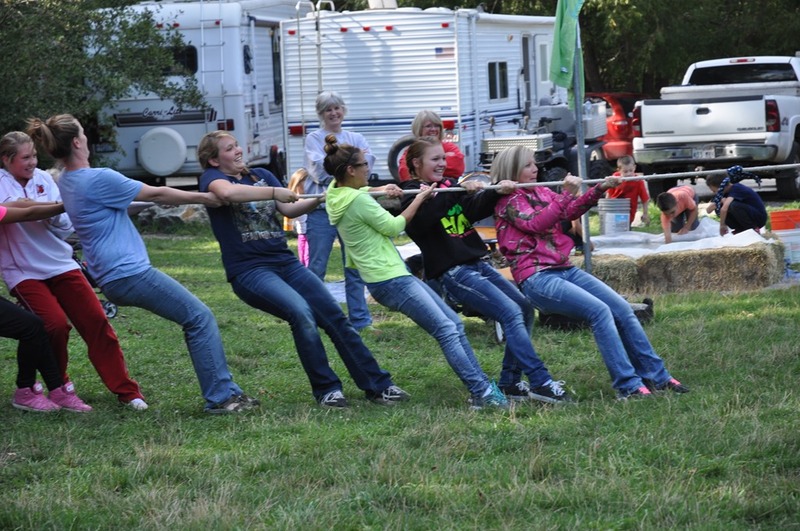 When looking for a tug of war rope I look for a rope that is 75- 100 long, a thick sturdy rope (1” in. 1.5 in diameter) and 100 percent cotton. This rope is available from the family reunion helper store. The rope pictured above is soft on your hands to manila ropes. These 100% cotton ropes reduce rope burn and splinters. 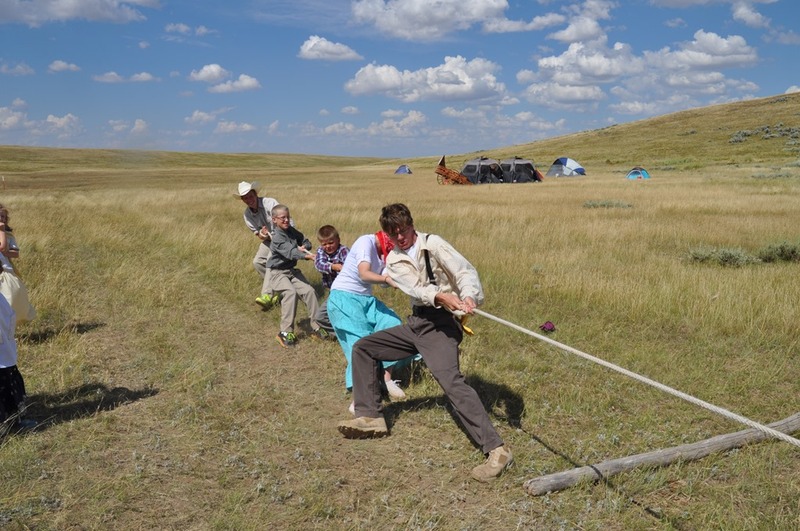 Professional tug of war competitions like to use manila ropes but for a family reunion I suggest cotton ropes. Ropes like this one can cost between $150.00- $200.00 but I think you’ll find it’s an activity that can be used every year and adapted to every theme. Find the center of your rope and mark with a piece of colorful tape or a bandana. Make a center mark on the ground for your starting point. 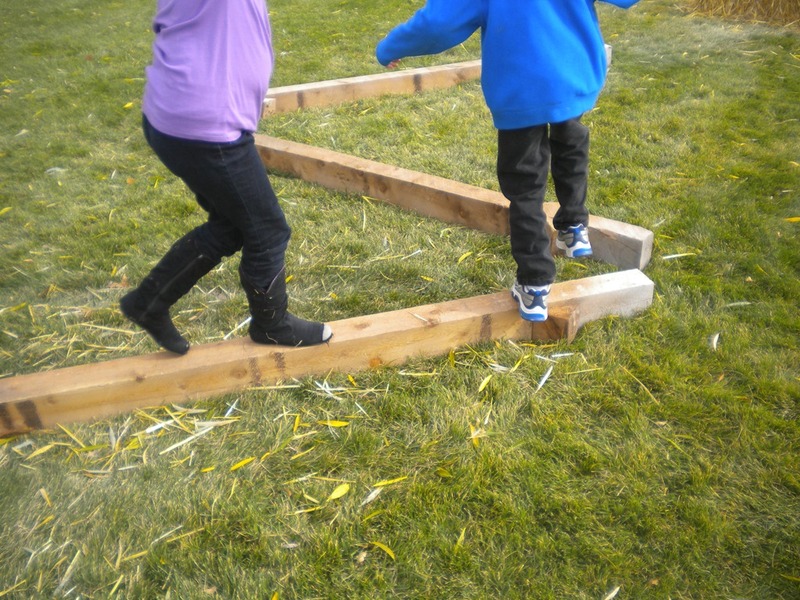 You can make your marks with logs, ropes or create obstacles such as water or a mud puddle. Make two more marks on the ground (I suggest 13 feet) equal distance from the center line. 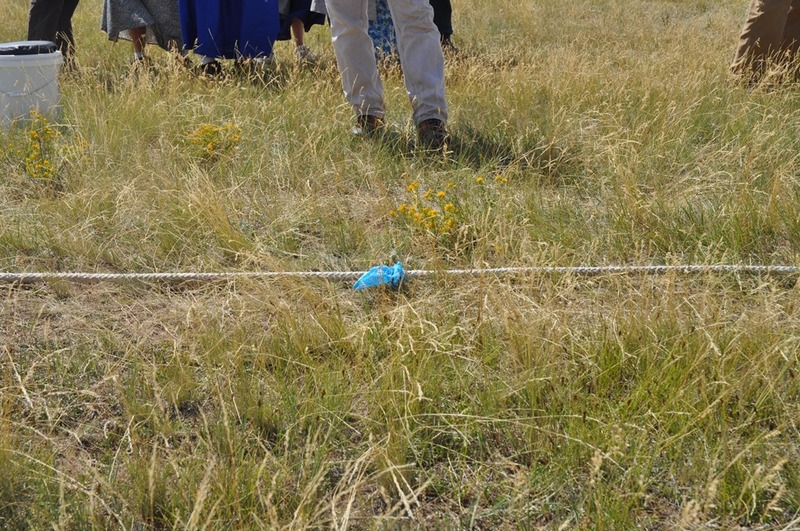 The teams start with the rope’s center line directly above the line marked on the ground. 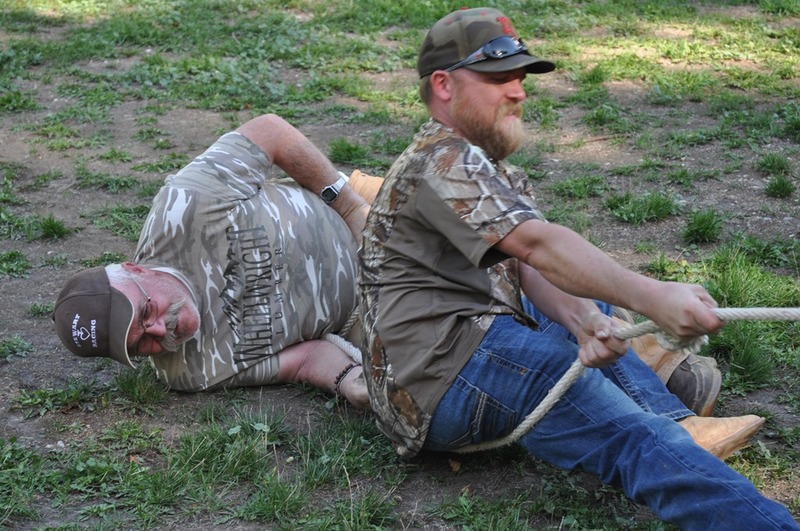 We like to start with the rope on the ground and have the official/judge tell the participants to “pick up the rope” before the contest begins. 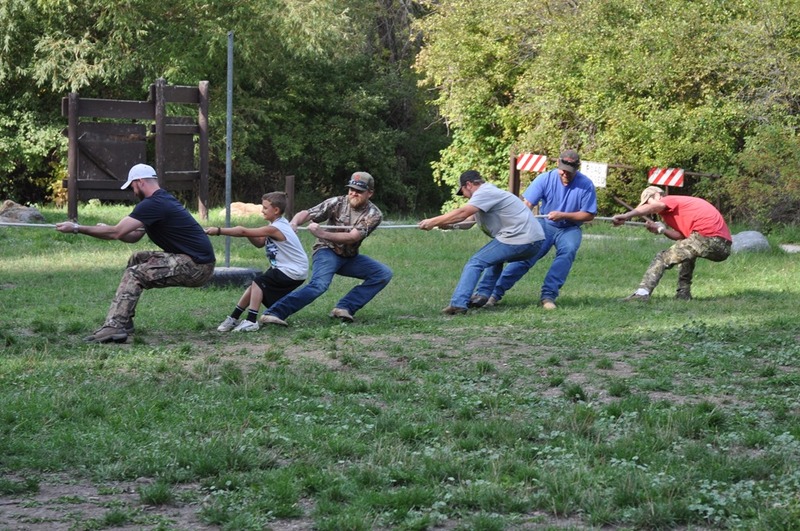 When the official gives the order to “pull” teams begin pulling in an attempt to pull the other team across the center line or obstacle. Don’t tie the rope around the last persons waist. On your family reunion invitation add “gloves” on their list of things to bring. Did you know that tug of war was part of the Olympic Games from 1900 until 1920. 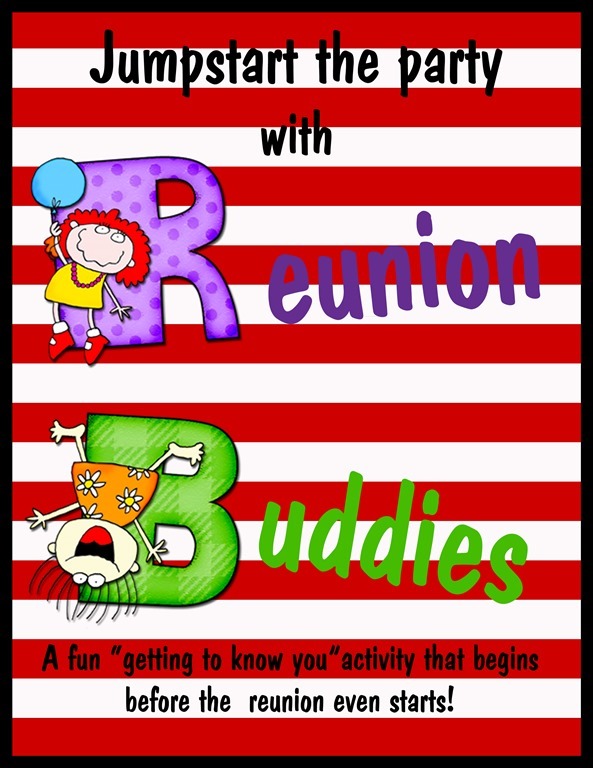 I always plan lots of physical activities for our family reunions- there’s no sitting around when I plan a reunion. However; not everyone is able to join in on a game of “Whiffle Ball” or run an obstacle course so I like to plan some “brain games” for them. 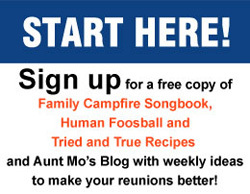 You can incorporate brain games into every reunion theme- Boot Camp, All Sport and Olympic themes are perfect themes for brain games. If you are giving awards for your activities be sure to include awards for your “brain games”. Jugball is a game that the Stewart family “invented” about 20 years ago and has become a family favorite at our annual family reunions. It doesn’t matter what else we do or what our reunion theme is, we always play Jugball. The most difficult part of Jugball is getting enough jugs for everyone to use. 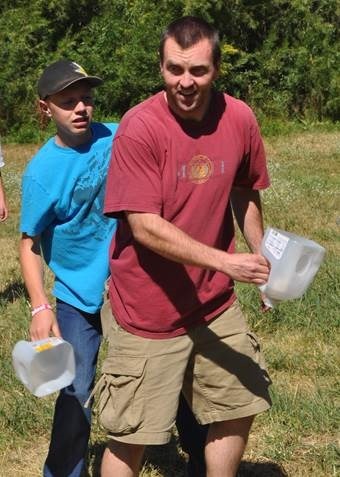 We ask family members to bring their own jugs and then an extra jug for someone who forgets theirs. 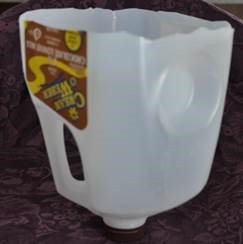 We just cut the bottom out of old milk jugs. If you wanted to be creative you could decorate them with duct tape and markers but we play with our jugs just the way they are. A note about the ball- bring several types and sizes of balls to see what works for you. You don’t want a ball that is too bouncy or it will be difficult to keep in your jug. I’ve never played Jugball but those that do assure me that it is an easy game to learn. It’s pretty much like football with goal being to get the jugball into the end zone in a teammate’s jug. First mark off a large field, with boundaries and two end zones. 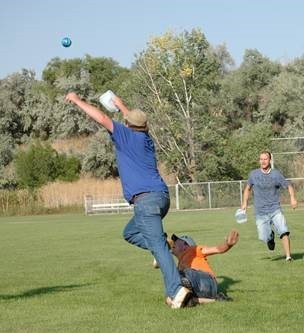 The game begins with a(throw off), and the receiving team may either catch the jugball, and move it from there, or drop it, or let it hit the ground upon reception. Then, the receiving team works the jugball forward, toward the other team’s end zone. The ball may move only through the air. Upon catching a pass, a player must stop running (you are allowed to be carried two steps by the act of the catch), and try to find a teammate who is trying to get open. This game continues until a point is scored, at which point the scoring team throws off. If, at any point, the jugball hits the ground (not during a throw off), the team who was not in possession before the fault assumes control. 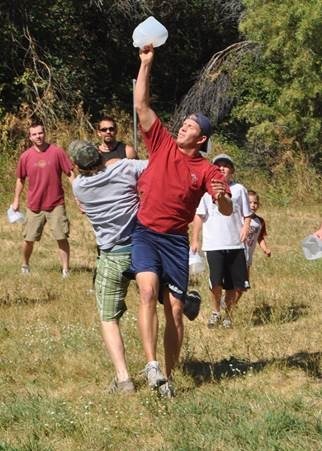 A score happens when a player catches the jugball in the other team’s end zone. If an out of bounds pass happens, the other team throws in from that spot on the boundary. The defense may cover the player with possession of the ball, like defenders in basketball (but the jugball may not be knocked out of a players jug, it must be allowed to be thrown). Also, if the other team is on offense, it is worth simply knocking down the jugball if catching it is difficult, as this will also result in a change of possession. 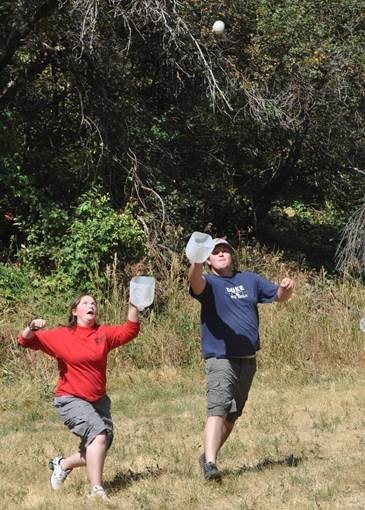 My favorite thing about Jugball is that our family just made it up at family reunion. It doesn’t take a lot of expensive equipment or extensive planning- you just do it. 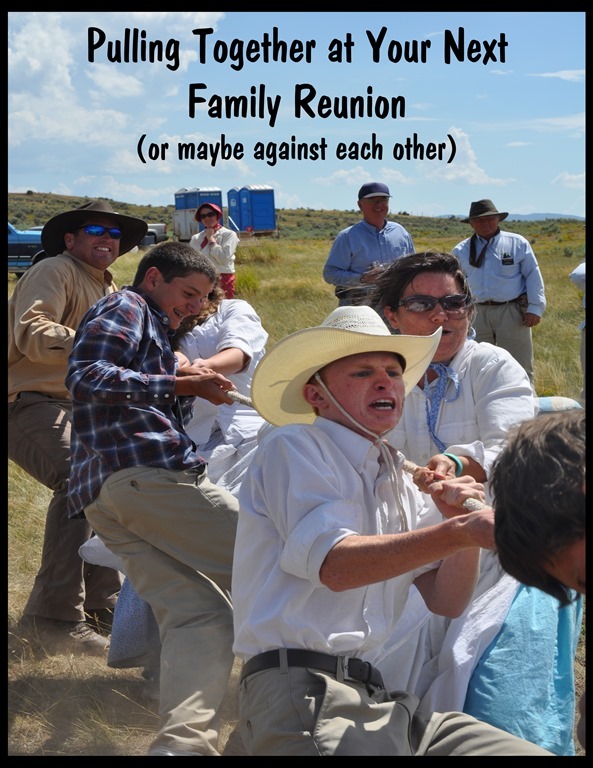 If you’re family tries Jugball it might become a family tradition at your reunions or maybe… you’ll make up your own game. I’m not writing this blog for you, I’m writing it for me. Every time I need to create an obstacle course I have to rethink every type of course we’ve done in the past. Next time I have to make an obstacle course I’m just going to search for this blog,hopefully you’ll get some good ideas too. Kids love obstacle courses and they’re pretty easy to create just using the things you have around your house or party area. The easiest way to create a course is to assign each person one obstacle or if it is for a family reunion, assign several families to each bring an obstacle. You can do this with little or no advance notice using just the things you have in the course area. If you have a committee that is putting the course together spend some time brainstorming ideas for your course layout. If you will be at a campground you may be able to take advantage of a water hazard, large rocks and logs. Eight to ten challenges is a good number for most people. Here’s some tried and true obstacles that have proved to be fun over the years. 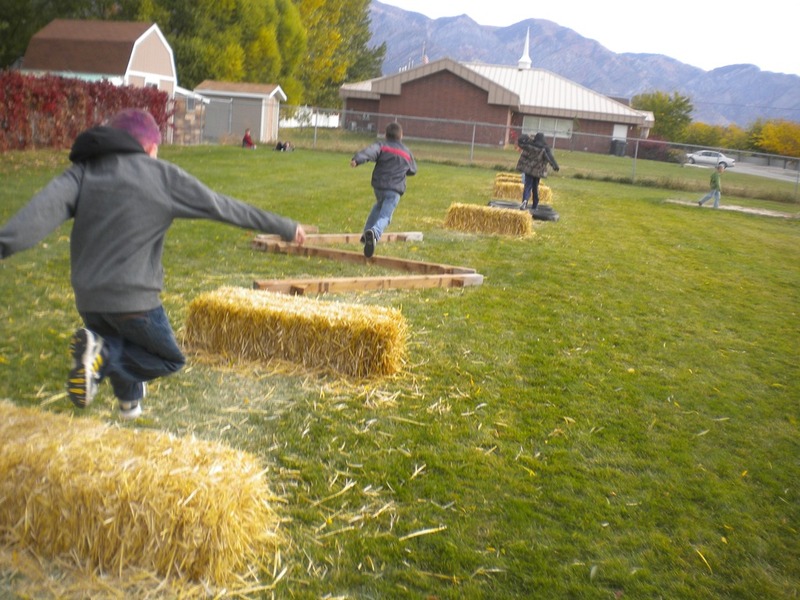 Bales of straw or hay make a fun obstacle. Other jumping obstacles can be logs, laundry baskets or rolled up sleeping bags. Instead of jumping you can crawl under or over a row of chairs. Lay a ladder on the ground and children run through the ladder making sure they step in the hole between each rung on the ladder. 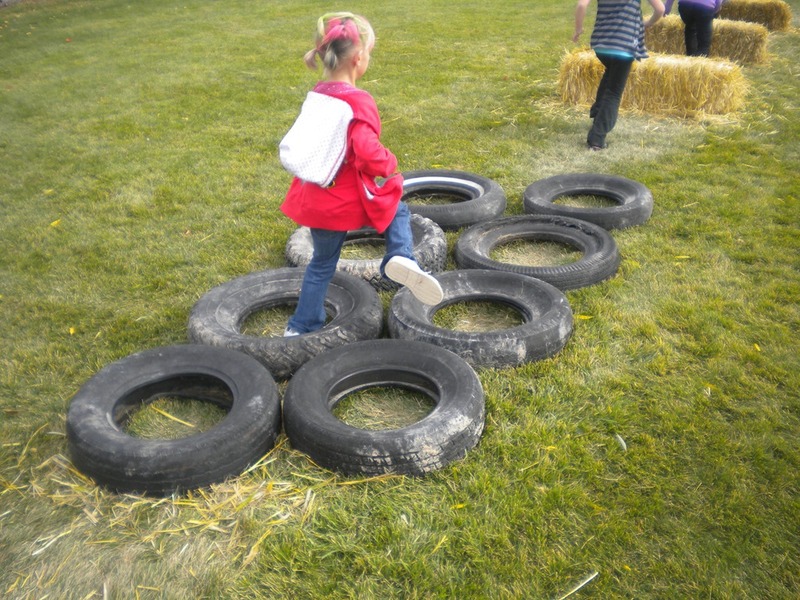 Every obstacle course needs a tire challenge of some sort. When runners reach the tires, they have to run through them, placing one foot in each of the tires. The more tires you have the harder it becomes. Everybody likes a good old rope swing and it’s a fun addition to any obstacle course. If you aren’t near a natural water hazard fill up a kiddy wading pool to provide an extra challenge. Several big knots tied in the rope’s end makes it easier to grab. Using logs, 2x4s or wooden planks makes for a fun balancing portion of your course. Throw beanbags into a bucket or basket. If you have access to a basketball hoop, require participants to make a basket before moving to the next challenge. If football is your sport of choice throw a ball through a goal post made of PVC pipe. Purchase some old couch cushions from the thrift store, mattress or foam pad and set out for participants to run through. This challenge will really slow runners down- just be sure to tell them there is no jumping allowed. And don’t forget cones (good for zig zagging) and hula hoops (good substitute for tires). A stopwatch (or the stopwatch on your cellphone) is essential for keeping track of their course times. You can keep times individually or run your obstacle course as a team relay event. Setting up an obstacle course is a wonderful way for adults and children to get some fun physical activity. Kids will do it as part of an organized activity but when the “official” activity is over they’ll continue to play and be entertained making their own kind of fun.